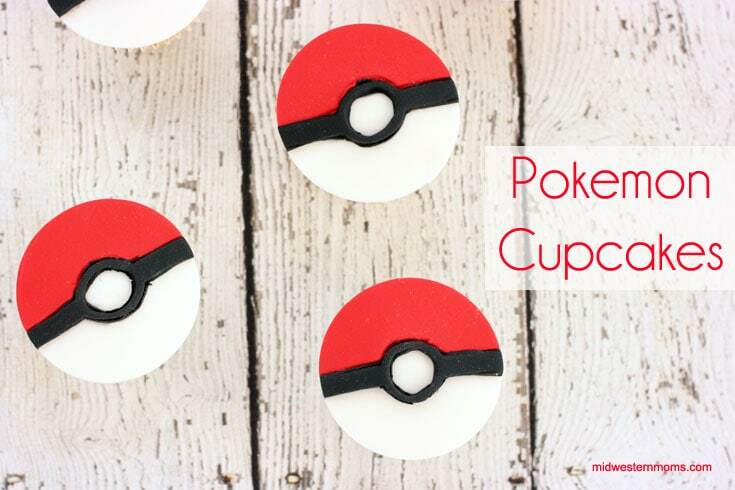 Delicious Pokemon cupcakes made with a doctored up cake mix and fondant Poke Balls! Perfect cupcake idea for a birthday party! I have never used fondant before. I have not even tasted fondant before making these cupcakes. 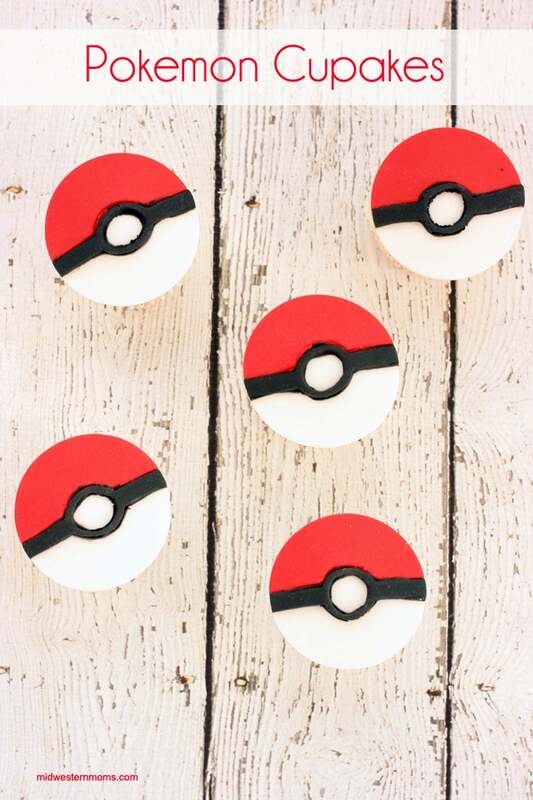 When I had the idea to make Poke Ball cupcakes, I knew I had to make them fondant. It was a whole new concept to me. After watching a few You Tube videos, I decided I could do this. I could make these cupcakes work. I used the same cookie cutter that I made the Rice Krispie Treats and the Sugar Cookies. You will also need a set of round cookie cutters. Knead and roll out the white fondant on a surface dusted with powdered sugar. You want it to be THIN. Using a circle cutter a bit larger than your cupcake, cut the amount of circles you need for the cupcakes. Knead and roll out the red fondant on a surface dusted with powdered sugar. Using the Poke Ball cutter, cut out the shapes. You will only be using the halves (not the stripe down the middle). Using a brush, apply water to the back of the half ball. Place it on one half of the white disc. Knead and roll out the black fondant on a surface dusted with powdered sugar. 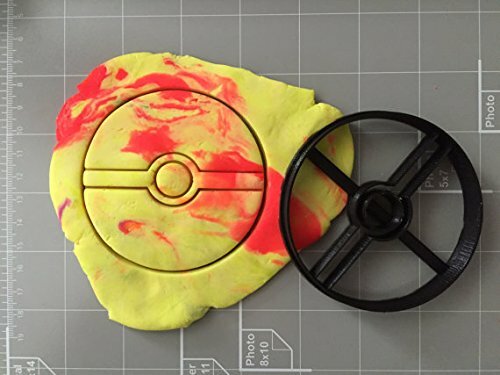 Using the Poke Ball cutter, cut out the black strip (make sure to take out the middle in the circle). Brush water on the back and place it against the red half. Dust off any powdered sugar that might be on the top. Using a circle cutter the same size of the cupcake. This will give the topper and nice clean edge. Tip: You may need a sharp knife to cut out the Poke Ball Shapes. Place the fondant Poke Balls on top of the frosting and press down gently. 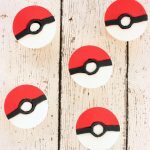 Super fun Pokemon Cupcakes perfect for a Pokemon themed party! Add 1 1/2 cups of powdered sugar and mix on low speed until blended. Add the vanilla extract, salt, and 1 tablespoon of milk. Mix on medium speed for 3 minutes. See post for instructions on how to assemble.